A real estate company recently asked us to locate a tenants septic tank in Nixa, MO in order to have it pumped. This usually happens when they experience some sort of sewer back-up. Using our electronic locating equipment, we quickly pin-pointed the tank location. We then managed to carefully excavate and expose an old metal septic tank. For information about our septic services visit Installing a Septic Tank. 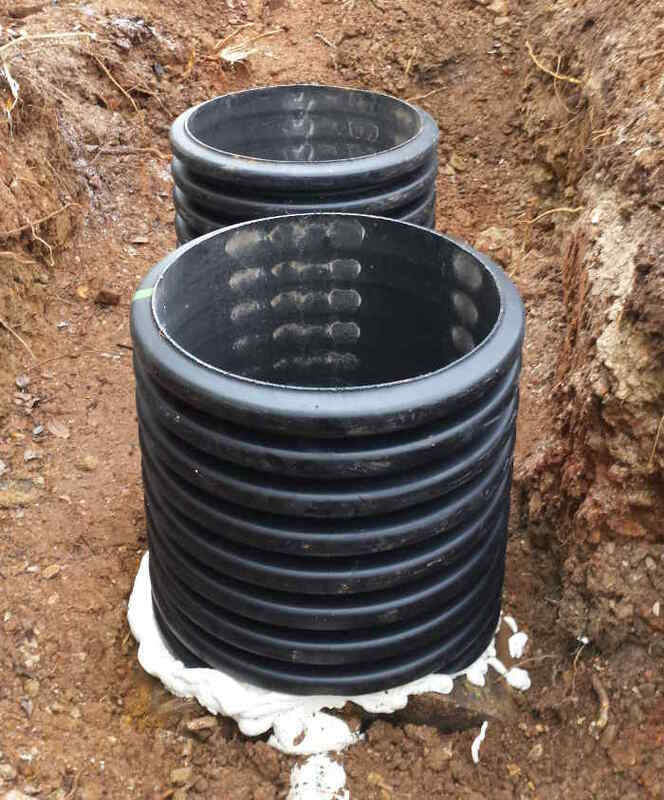 After further inspection, it was determined the sewer back-up was caused by root infiltration at the inlet and outlet pipe baffle assemblies. We removed the deteriorating baffle assemblies and replaced them with new PVC inlet and outlet baffles. The replacement of the outlet baffle assembly required cutting an accesss hole in the top of the tank. 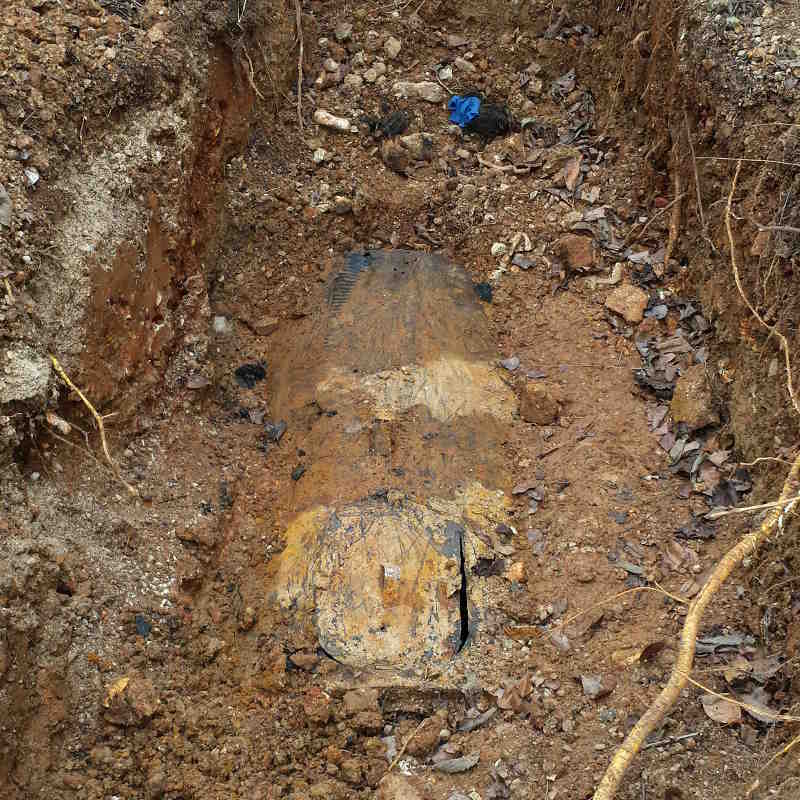 Some metal septic tanks will collapse during the excavation or backfilling process. 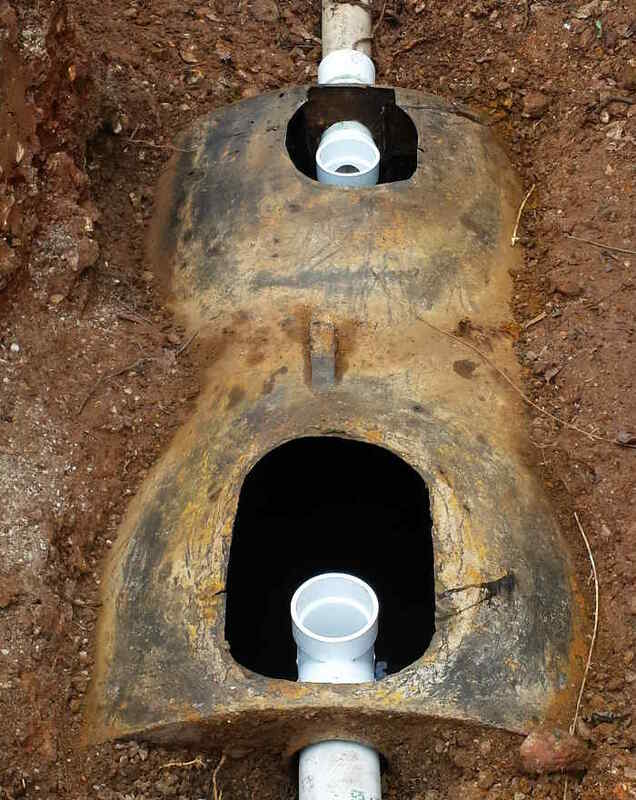 We lowered that risk by installing large diameter riser assemblies over the inlet and outlet baffle assemblies. This eliminated excess weight because it took less dirt to backfill the tank. The risers also allow easy future maintenance and inspection of the tank. By remediating some of the primary components of the old metal tank, we were able to save the customer thousands of dollars in total system replacement. In Christian County you cannot replace just the tank on older unpermitted systems. You are required to install an entirely new permitted system which includes the tank and the disposal/lateral field. This customer was fortunate to be able to keep using his existing system. For your next septic tank locating service in Nixa, MO contact Envirotek Systems.